The hatching has begun—and the end of humanity is near. transformed the small town of Creek’s Cause into a war zone. Holed up in the local high school, frightened kids and teenagers struggle to survive—at least until their eighteenth birthdays. Now, a new breed of predatory creatures has been spawned and is spreading across the world, devouring everything in its path. Earth’s only hope is two overwhelmed teenage brothers—and their closest friend, Alexandra—who may hold the key to humanity’s survival. But how far will they have to go to save everyone and everything they care about? 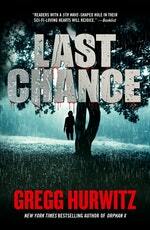 Love Last Chance? Subscribe to Read More to find out about similar books.